For advanced Voki Classroom users, you may be looking to update your account for the upcoming school year. Check out these quick-and-easy tips to revamp your Voki Classroom account with new classes, lessons, and students. 1. Once you are logged into Voki Classroom, go to the Students Tab. Here, you have the option to delete your students’ accounts and work individually or in mass. Click the box directly adjacent to the student’s password you wish to delete. Then click the blue word Delete at the top of the column. If you want to delete a large number of students, check the box to the right of the word Delete at the top of the column. All of your students will then be selected. You can deselect a few if needed before clicking Delete. 2. You have 2 options for adding students. You may enter each student one by one or upload a spreadsheet of your students. The other options is to download the template to easily set this list up. Click Import a List. 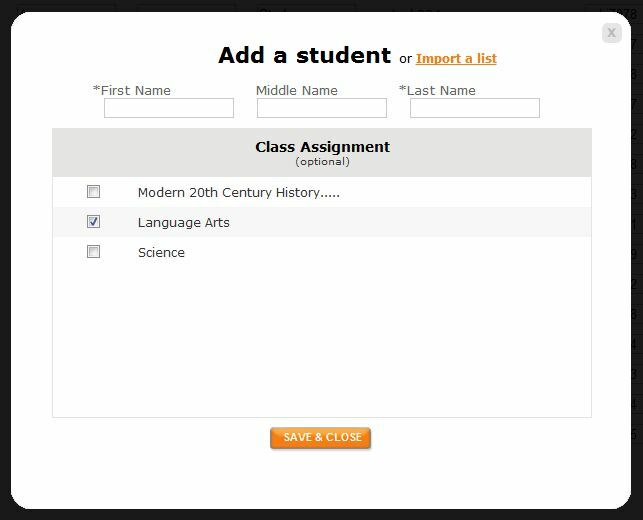 You may then select the class you will to assign your students to. 3. If you choose to delete your classes, click on the X button next to your class. When you delete your class, all of the lessons within the class will be deleted as well as your students’ assignments and Vokis. 4. If you want to keep your students’ past work, simply rename your old lessons. Click on the lesson or class you want to rename and type in a new name. Remember to hit the Save Changes button! 5. To add a new class, clike the Add a Class button and give it a name. Remember to extend your Voki Classroom subscription as you prepare for another fun and fabulous school year! Go to the My Account Tab and click Extend next to the expiration date.